A Service Manual which is also known as Workshop Manual, Shop Manual or Repair Manual are official manuals from the heavy equipment dealership. 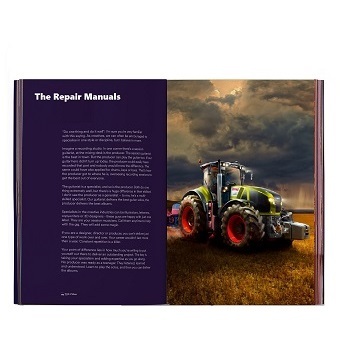 These Service Manual contains details instructions and multiple diagrams on how to repair and fix your equipment (Tractor, Backhoe, Excavator, Skid Steer, Crawler, Bulldozer, Loader, Scraper, Telehandler, Forklift etc). The manuals will contain information on the Hydraulic System, Engine, Electric System, Steering, Brakes, Valve, Diagnosis, Clutch Assembly, Torque Values etc. With this information assembly and disassembly of multiple parts of the vehicle will be seamless. The manuals will be an easy guide to follow to make necessary repairs. Whether you are a professional or just enthusiast you will like to have these manuals by your side. At The Repair Manual we provide original PDF quality manuals for you to successfully do any servicing or repairs. 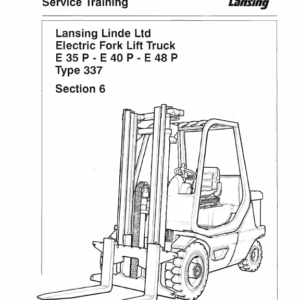 Check now our collections of Service Manuals now. The Parts Manuals or Parts Catalog contains all the parts of the machine. Depending on certain brands and upon availability we will sell the Parts Manual together with the Service Manual. These manuals will usually contain the reference number or code of each parts. As such, you will have the detailed breakdown of specific parts in multiple diagrams with very fine details where even the nuts are label in certain cases. The Parts Catalog are the official guide when ordering parts from the manufacturer or the registered supplier. An Owner’s manual or Operator’s Manuals is the official guide that is sold together with your equipment. These handbooks will help you to operate and service the machine as per the manufacture instructions. The manual will contain additional information such as system operational check, diagnostic information basic troubleshooting, adjustment procedure and which came with the machine. These are less detailed compared to the Workshop/Service manual however sometimes essentials specially if you do not know how to operate your vehicle. Browse the collection of our best selling and top interesting manuals. You’ll definitely find what you are looking for. We offer a wide range of manuals with the most comprehensive pack for some most models where you get the operating, workshop, schematics and parts documents in one single listing.